Dr. Nancy Van Laeken obtained her MD from the University of Ottawa over 28 years ago, and completed her Plastic Surgery training at the University of British Columbia in Vancouver. She has also completed advanced training in Reconstructive Microsurgery at the University of Toronto. Dr. Van Laeken is a certified plastic surgeon by the Royal College of Physicians and Surgeons of Canada. Her professional affiliations include The Canadian Society for Aesthetic Plastic Surgery, The Canadian Society of Plastic Surgeons, and the Pacific and American Society of Plastic Surgeons. Dr. Van Laeken performs private cosmetic procedures at a number of facilities in Vancouver, including the False Creek Surgical Centre and Cambie Surgery Centre, and is an active member at many Lower Mainland hospitals. She is the Chair of the Department of Surgery for Providence Health Care in Vancouver, the Physician Program Director for Providence Health Care, an Associate Head for the Department of Surgery at UBC and a Clinical Associate Professor for the Division of Plastic Surgery. Dr. Van Laeken was awarded one of Canada's top ten doctors in Hospital News January 2000, ranked as one of Canada's Top 10 consumers of breast implants by Allergan, was nominated two years in a row as one of YWCA's Women of Distinction, and has received a number of other awards and accolades over the years. ( Dr. Nancy Van Laeken, Plastic Surgeon, Vancouver, BC ) is in good standing with the College of Physicians and Surgeons. The speaker in the video may have no association with ( Dr. Nancy Van Laeken, Plastic Surgeon, Vancouver, BC ). ( Dr. Nancy Van Laeken, Plastic Surgeon ), may talk about some of the conditions and some of the treatment options shown in the videos on HealthChoicesFirst. Always talk with your health care practitioner about the information you learnt from the videos in regards to treatments and procedures the healthcare practitioner could perform and if they would be appropriate for you. Remember good information is the corner stone to understanding your condition or disease. Please contact ( Dr. Nancy Van Laeken, Plastic Surgeon, Vancouver, BC ) to enquire if this health care provider is accepting new patients. Dr Nancy Van Laeken MD, FRCSC, Plastic Surgeon discusses risks with the liposuction procedure. Susan, a 45-year-old mother of two children, presents to the office with a recent diagnosis of breast cancer. A mammographic abnormality was picked up on a screening mammogram and the patient underwent a core biopsy. She has been advised that she has multifocal disease involving the left breast and a mastectomy has been recommended. Susan visits a plastic surgeon for discussion on breast reconstruction. She does not smoke or drink excessively and is not overweight. She has a strong family history for breast cancer in her mother, her mother’s sister, and her grandmother, all of whom succumbed to the disease. This patient is an excellent candidate for consideration of breast reconstructive surgery. 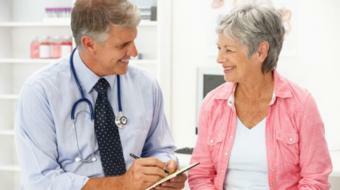 Because of her strongly positive family history, it will likely be recommended that she undergo a mastectomy on the cancer side for treatment purposes and undergo a prophylactic mastectomy on the non-cancer side, because of her high risk of breast disease developing on that side secondary to her family history. 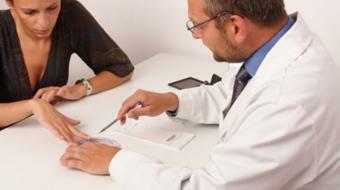 Before a decision is made regarding the prophylactic mastectomy, there will be some discussion and consideration of genetic testing for the presence of the disease. If in fact Susan is deemed to be gene positive for breast cancer, then she will also require a gynecological workup for assessment of the need for oophorectomy, because of the increased risk of ovarian cancer in patients with the BRCA1 gene. Susan was made aware of the types of breast reconstruction, which are broken up into autologous techniques. These techniques involve using the patient's own tissue, such as the latissimus dorsi muscle from the back or the tram flap from the abdomen, or the newer possibility of a microvascular free tissue transfer called a DIEP flap from the abdomen as well. The implant-based reconstructions would include the use of a dermal matrix so that the breast mound could be fully reconstructed the day of the mastectomy, or a two-stage reconstruction with a tissue expander, depending on the location of previous scars, the size of the breast to be reconstructed, and the history of radiation. Susan will require a multidisciplinary team approach to include plastic surgery, oncology, general surgery, possibly gynecology, and radiation therapy. Facial Aesthetic Surgery: Facelift Procedure " Chantal a 55-year-old female "
Chantal, a 55-year-old female, presents to a plastic surgeon's office requesting an opinion regarding facial aesthetic surgery (facelift). She feels that when she looks in the mirror at this time that she is tired. She is unhappy with the skin laxity under her jawline, and is particularly disturbed that when she views her profile in photographs she has no clear definition of neckline. She reports being otherwise healthy. She is very physically fit and active, plays golf and tennis regularly and enjoys travelling in her retirement. She is seeking an opinion regarding surgical correction of some of the age-related changes to leave her with a refreshed and rejuvenated look. Chantal is an excellent candidate for a lower face and neck lift. This is a multilevel procedure which allows not only tightening of the skin, but there is securing of the muscle layer beneath the skin, and often defatting of the area beneath the chin to improve the contour. This facelift and neck lift will leave Chantal with a refreshed and rested look and eliminate the excess tissue beneath the jawline. Chantal may also wish to consider consulting with a dermatologist to help her develop a good skin care routine for optimal health and to optimize the appearance of her skin. 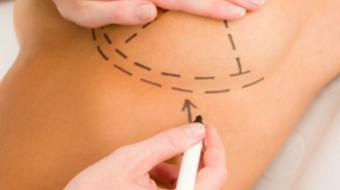 What Is A Liposuction Procedure? " Jackie a 35-year-old goes to a plastic surgeon's for liposuction "
Jackie, a 35-year-old female, presents to a plastic surgeon's office for an opinion regarding liposuction. She reports exercising regularly. She is 5 feet 8 inches tall and weighs approximately 150 pounds. In spite of a well-controlled diet and an exercise program, she is unable to lose weight, which is deposited in the area in the lateral hip, inner thigh, and knee region. In addition to that, she carries some extra weight along her waist area. She would like to consider liposuction. She does not smoke and, as noted, exercises regularly. 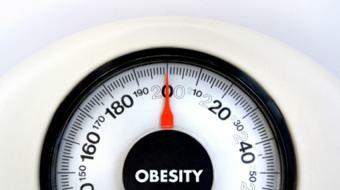 She has no medical comorbidities to consider such as diabetes or hypothyroidism, and is seeking surgical correction. On examination, Jackie has localized fatty deposits to the hips, inner thighs, knees, and lower back region. She otherwise has excellent muscle tone, is slender, and physically fit. She is suitable for body contouring, which will allow for debulking of the areas of fatty excess which are resistant to weight loss and exercise. She has excellent skin tone so the skin will re-drape when the fat has been aspirated, and she is not using the liposuction surgery procedure as a solution to a healthy lifestyle. Dr Nancy Van Laeken MD, FRCSC, Plastic Surgeon discusses the lap band procedure. Dr Nancy Van Laeken MD, FRCSC, Plastic Surgeon discusses breast reduction. Nancy Van Laeken MD, FRCSC, discusses the abdominoplasty procedure. Dr Nancy Van Laeken MD, FRCSC, Plastic Surgeon discusses What is Gynecomastia. 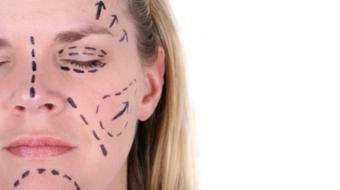 Dr Nancy Van Laeken MD, FRCSC, Plastic Surgeon discusses the facelift procedure. 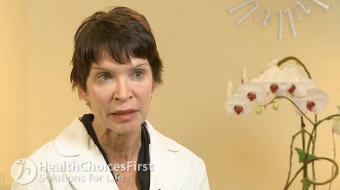 Nancy Van Laeken MD, FRCSC, discusses breast cancer reconstruction. 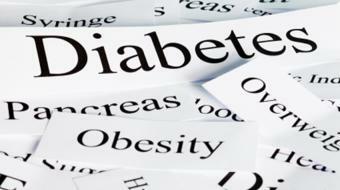 Dr. Nancy Van Laeken MD, FRCSC, discusses diabetes and plastic surgery. Dr. Nancy Van Laeken MD, FRCSC, discusses breast augmentation. Dr Nancy Van Laeken MD, FRCSC, Plastic Surgeon discusses breast implant safety. 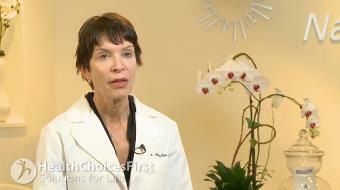 Nancy Van Laeken MD, FRCSC, discusses What is a Mastopexy procedure. 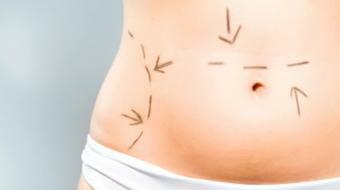 Dr Nancy Van Laeken MD, FRCSC, Plastic Surgeon discusses What is a Liposuction Procedure. Dr Nancy Van Laeken MD, FRCSC, Plastic Surgeon discusses What are the Risks of a Face. Dr. Nancy Van Laeken MD, FRCSC, discusses breast cancer and plastic surgery. Dr Nancy Van Laeken MD, FRCSC, Plastic Surgeon discusses What is Brachioplasty. 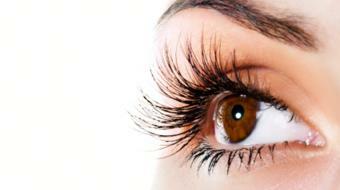 Nancy Van Laeken MD, FRCSC, discusses the blepharoplasty procedure. 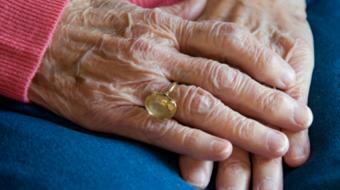 Nancy Van Laeken MD, FRCSC, discusses arthritis and plastic surgery. 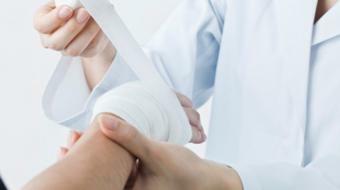 Dr Nancy Van Laeken MD, FRCSC, Plastic Surgeon discusses reconstructive burn surgery. Dr Nancy Van Laeken MD, FRCSC, Plastic Surgeon discusses What are the Risks with Breast Augmentation. Who Is A Candidate For Post Weight Loss Body Contouring? Recently had abreast reduction operation with Dr. Nancy Van Laeken a Plastic Surgeon in Vancouver. 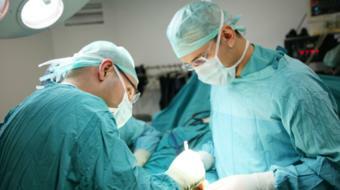 The operation was performed at Cambie Surgical centre and everything went very well. Would recommend Dr. Nancy Van Laeken to anyone looking at doing a breast reduction with a Plastic Surgeon in Vancouver. If you’re looking for Severe Burn Treatment and Management, you could consult with a plastic surgeon for skin grafts, tissue expansion and microsurgery. For plastic surgery options, contact a local Plastic Surgeon in Vancouver, BC, such as Dr. Nancy Van Laeken. 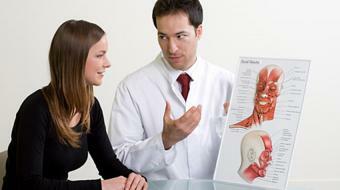 A plastic surgeon is a physician who has taken additional training in reconstructive and cosmetic surgery. Plastic surgeons work to improve patients' appearance and self-esteem through a variety of techniques. In treating patients a plastic surgeon can also educate them on breast reconstruction, breast augmentation, facelift, liposuction, breast reduction surgery, rhinoplasty (nose job), skin grafts, abdominoplasty (tummy tuck), spider vein removal, eyelid surgery, brow lift and gynecomastia surgery.